Toronto police say they have received two new videos showing alleged criminal activity, bringing the total number of incidents that are under investigation to six. Insp. Domenic Sinopoli said Tuesday, that one of the videos was being investigated as a “threatening occurrence” and the other as a case of “assault with a weapon” involving a belt. Both had been brought to the attention of police as part of their investigation into other incidents at St. Michael’s College School. None of the people in the videos had been identified, Sinopoli told reporters. 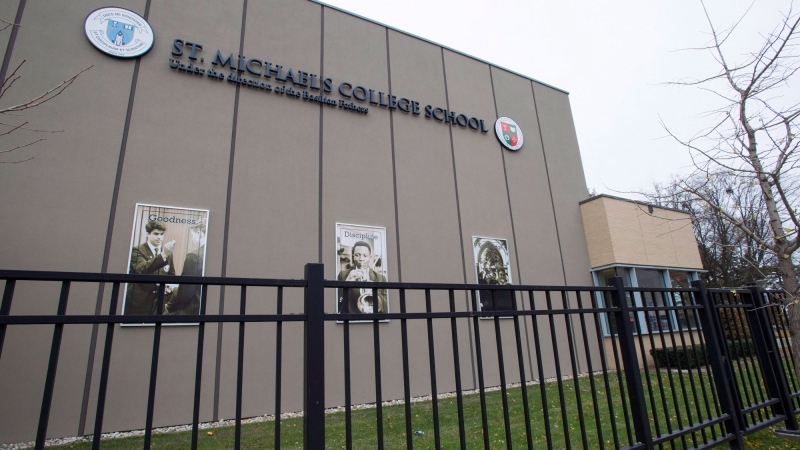 “We have reason to believe that they are linked to St. Mike’s but at this point in time we have no credible evidence to support a linkage,” he said. Sinopoli said investigators had been expecting more videos of alleged abuses to surface and believe there might be more they have yet to see.